Botanical illustrations depict the structure, color and elements of plant species by relying on a vast array of plant specimens, references and scientific observations. 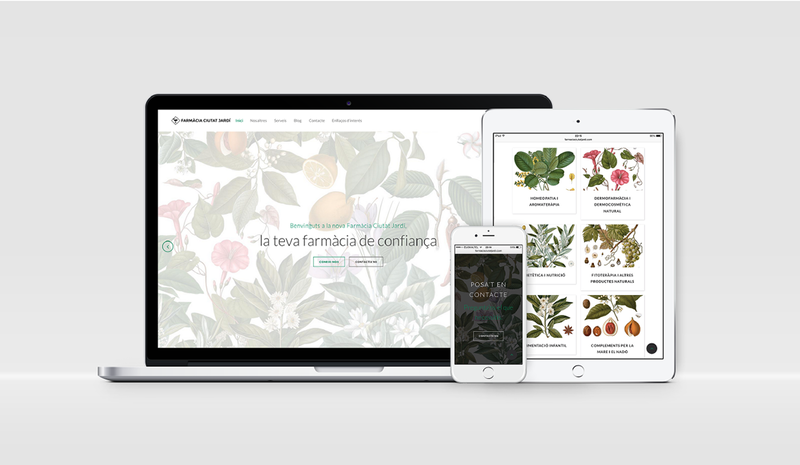 The creation of a botanical illustrations requires a strong understanding of the plant morphology and aims at presenting an accurate and highly detailed image for further examination. Early pharmacopoeia has been mostly depicted in watercolor paintings and aimed at assisting plant identification and medical studies. The first botanical art, created in the year 512, has created the outset of a new era of artwork. The need of precise imagery depicting plant species for scientific, conservation and horticulturist purposes has grown artists’ interests towards botanical illustration. 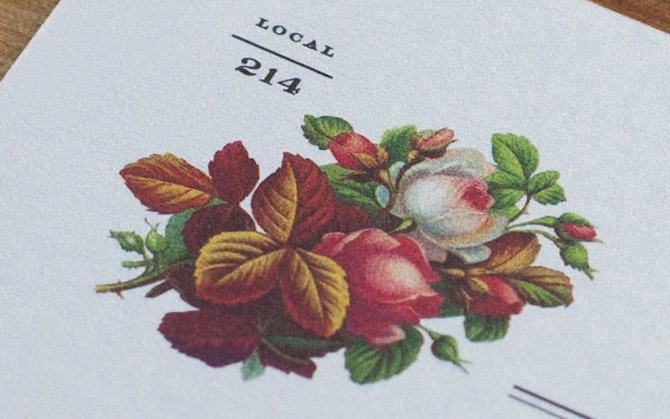 Despite being considered a forgotten genre, the use of botanical drawings in modern design has rejuvenated in a new trend wave which favors traditional flora portrayal. 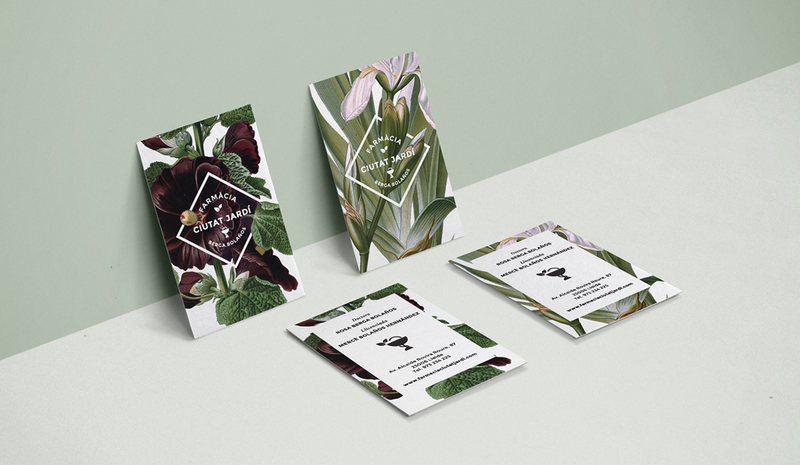 Incorporated in minimalist graphic design, including print, web and fashion design, botanical drawings give every concept a touch of raw elegance. 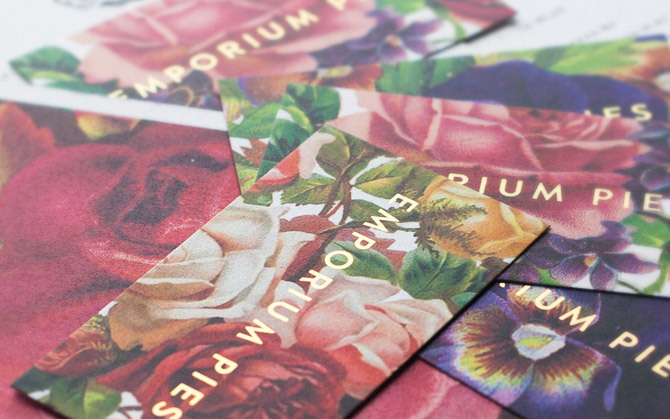 This article presents a handpicked collection of some of the most memorable print design projects which revolve around botanical illustrations. Located in the Bishop Arts District of Oak Cliff Dallas, the Emporium Pies shop amazes not only with a delicious set of meticulously decorated bakery goods. 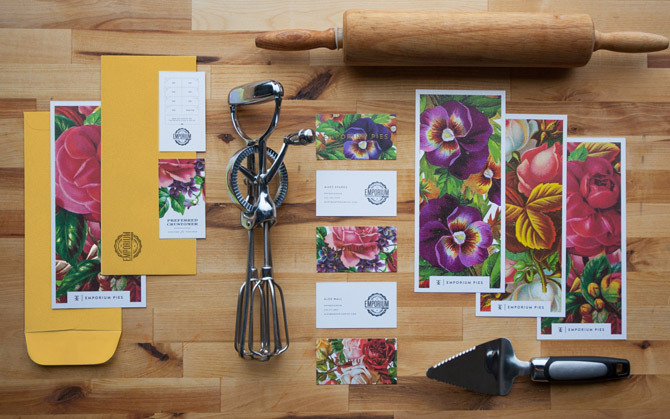 The shop’s brand identity depicts a picturesque arrangement of blood-red roses and blooming violets, gorgeously entangled into a timeless embrace. 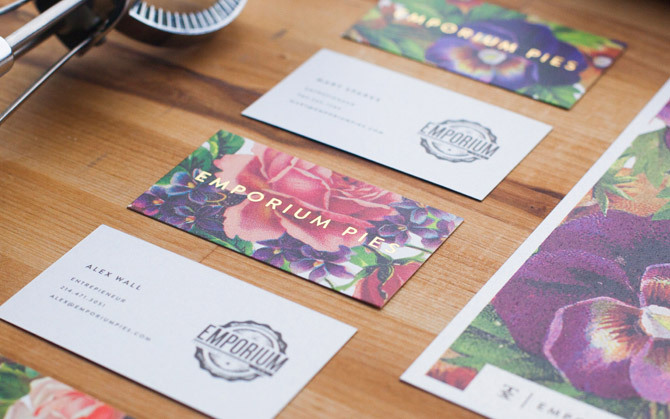 The gold-coated sans serif logo of the shop beautifully stands out on the matte paper surrounded by a fabulous set of flowers. 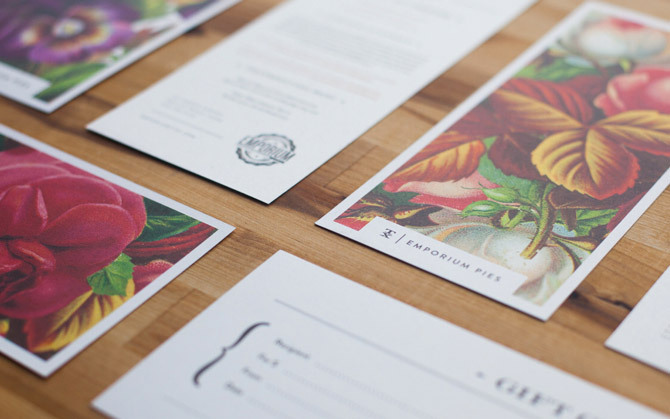 This dazzling identity design empowers the use of botanical illustration in contemporary art by presenting and vivid layout with a scent of autumnal melancholy. In the past years, botanical art has headed the long road of becoming a statement for the emerging need of humanity to rebound with nature. The pharmacy brand identity is an evocation of the naturalism incorporated in all design branches. 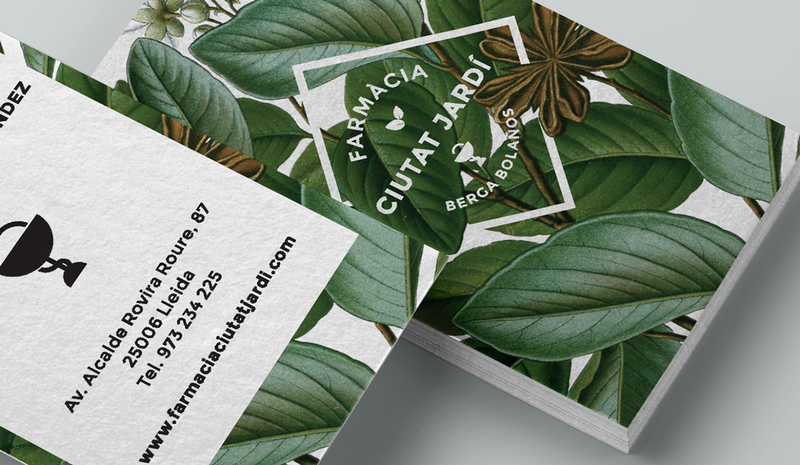 The stationery design of Farmàcia Ciutat Jardí combines minimalism with floral realism creating an ablaut of people’s need for a natural healing. 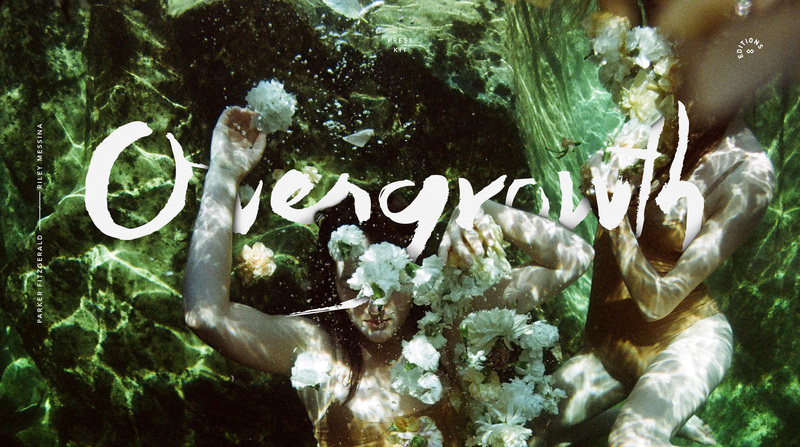 The logo presents a simplistic, yet memorable identity which is entangled with nature. The website design presents another great example of how a clean contemporary look can be successfully transformed into a triumph of sustainability. Ben Biondo’s artwork revolves mostrly around the communication between man and nature. 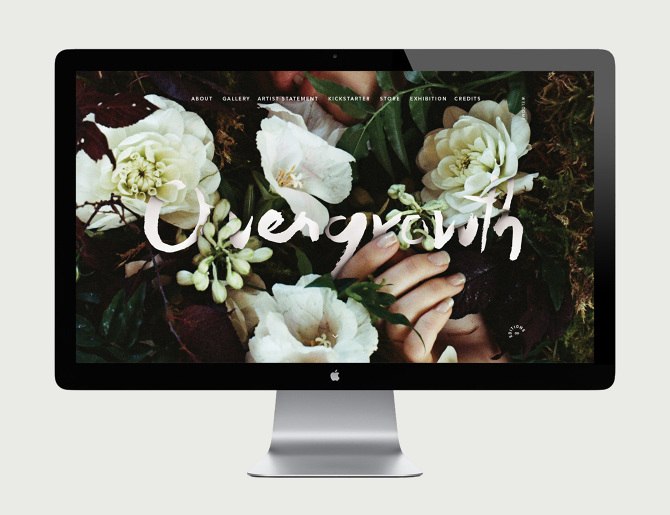 In his project, Overgrowth, he successfully collaborates with photographer Parker Fitzgerald in a sincere search for beauty. The raw realism of Biondo and Fitzgerald’s work speaks of humanity’s bound with Earth. Sunken in a s timeless embrace with nature, the photographs and poster designs remind of a deep dream and a vivid еvocation. 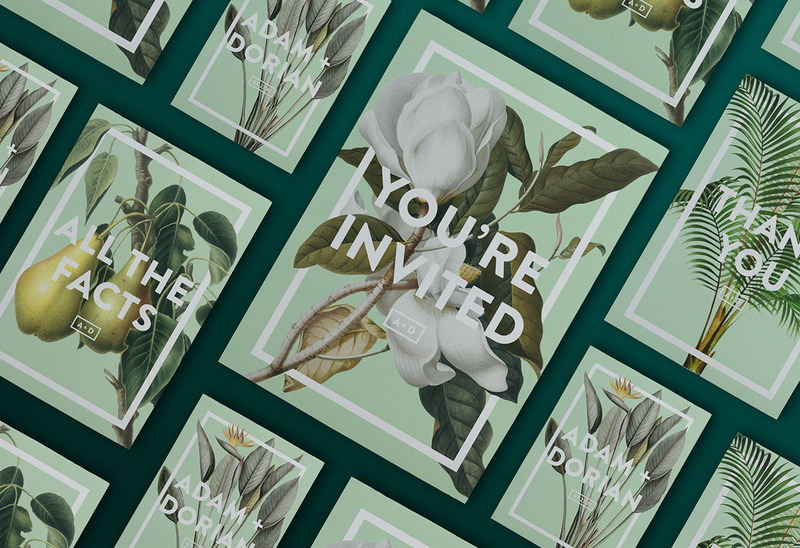 Incorporating a vintage look, infused with lucid floral imagery, the wedding invitations of Adam and Dorian are a creative approach to minimalist print design. The artist behind this glamorous project, Daniel Ioannou, is an Sydney-based creative with a strong sense for beauty. He’s one of the many art-incluned individuals on the Southern Hemisphere, yet his designs create a strong statement with the correct use of spacing, colors and images. 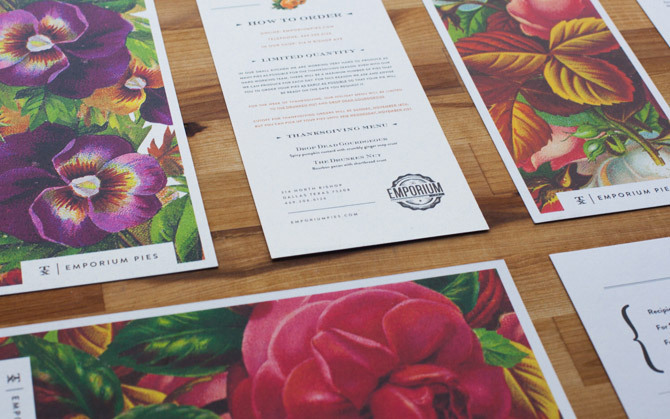 Another wonderful project by group of Behance creatives which successfully incorporates botanical illustrations. 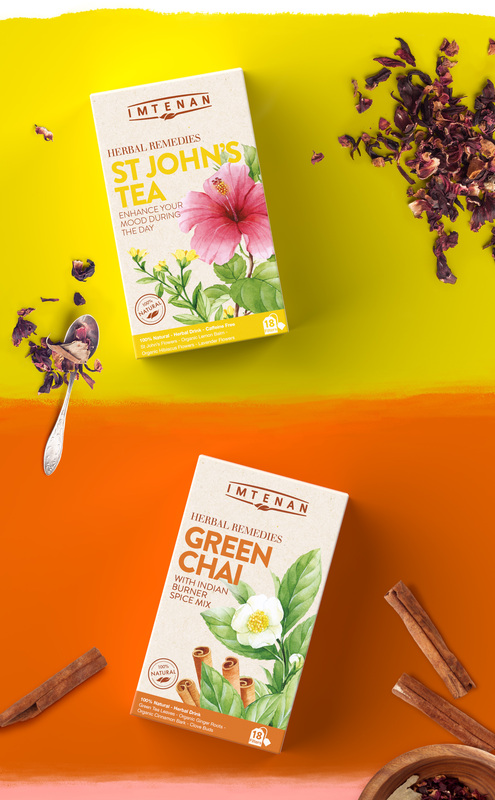 This product design is a case study of a transformation from a general product look to a beautiful brand identity focused on holistic medicine. The designers feature an amazing teams which connects both end of the world, travelling from Hamburg, Germany to Cairo, Egypt. 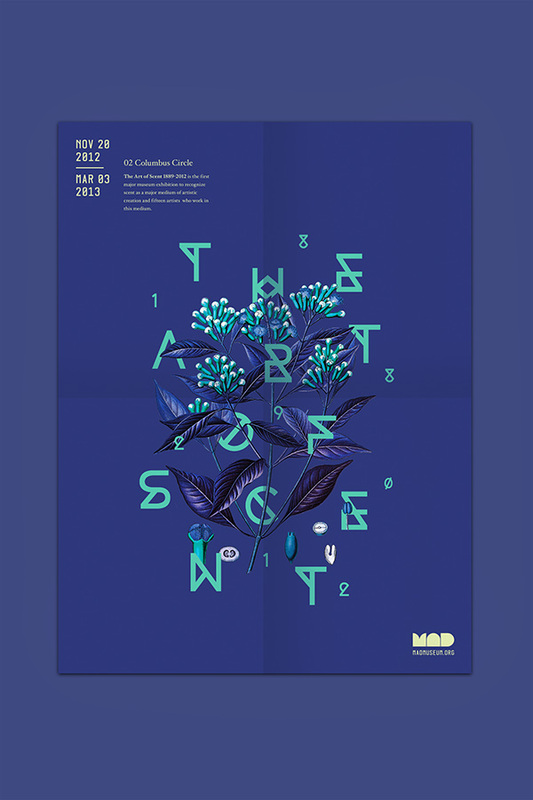 The Art of Scent is a provocative poster design collection created by Michelle Wang which features a bright, inverted color palette, unique typography and a touch of pure minimalism. Wang’s project resembels an identity for an exhibition at the MAD Museum. 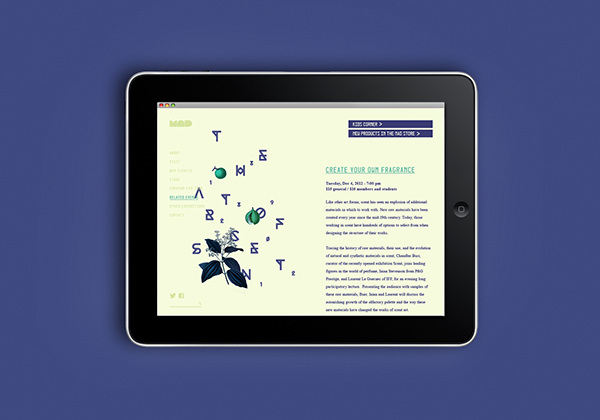 The exhibition aims introducing syn-thetic molecules. The designs are based on the elements, forms and angles found in chemistry and geometry. 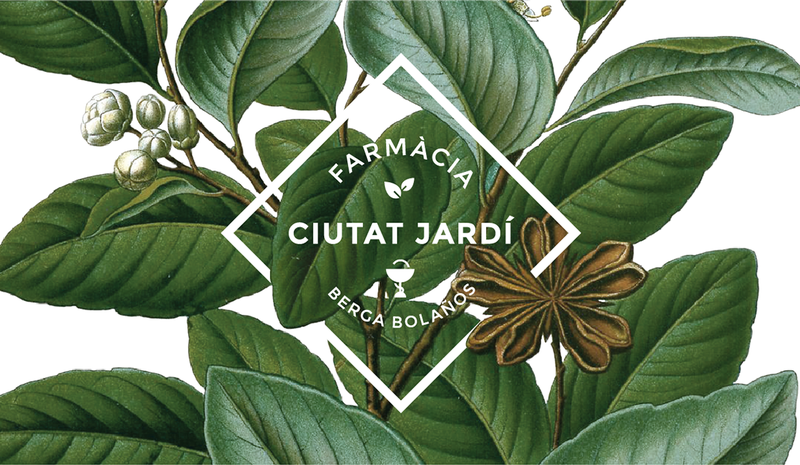 The unique typography is paired with botanical illustrations, conveying the combination of synthetic molecules and natural materials.